A papier-mâché box of globular form with a lid. The lid is domed and has a central flattened top; the rounded sides end in a flat rim. The outside is richly painted in fine detail with a design of naturalistic flowers and leaves, using rich colours and outlined in gold. 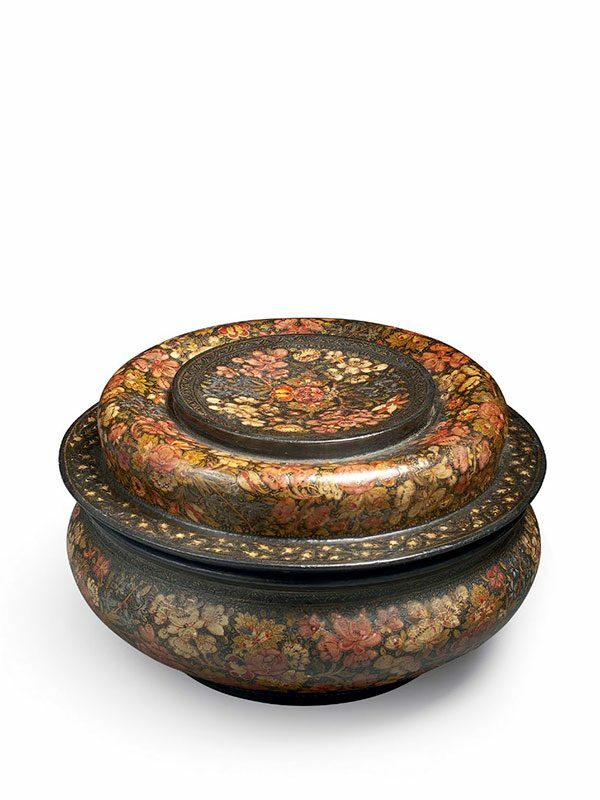 The central scene on the lid has a border that is decorated with an abstract pattern in gold paint. The painted surface is covered in a layer of clear lacquer. The interior is decorated in a solid dark blue, almost black colour. The area of Kashmir and particularly its capital Srinagar were well known in the 19th century for the manufacture of high quality lacquered papier-mâché work. Made both for domestic use and for export, a wide range of objects such as candlesticks, pen-cases, boxes and flasks were produced. The tradition of papier-mâché was popular in Persia and probably originates in China. 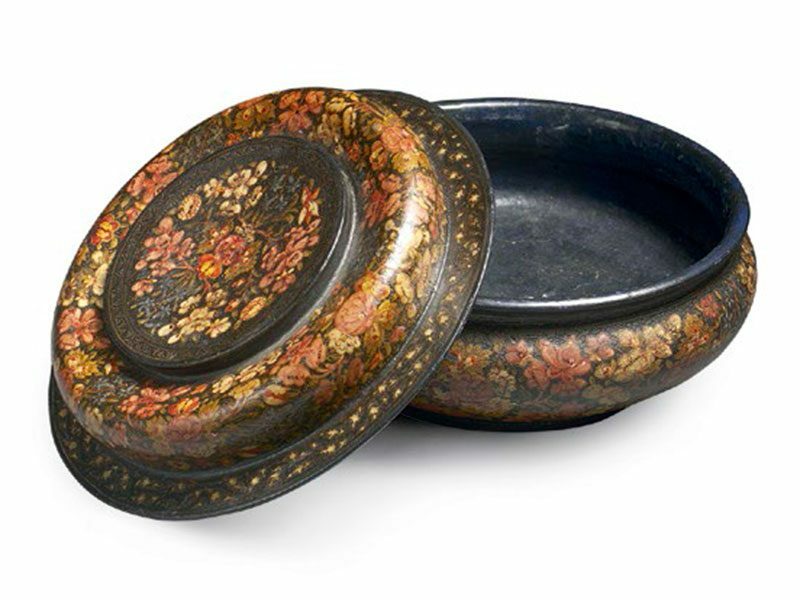 Several examples of Persian papier-mâché can be found in the Khalili collection, London.1 The shape of the present box was almost certainly influenced by Tibetan pieces.